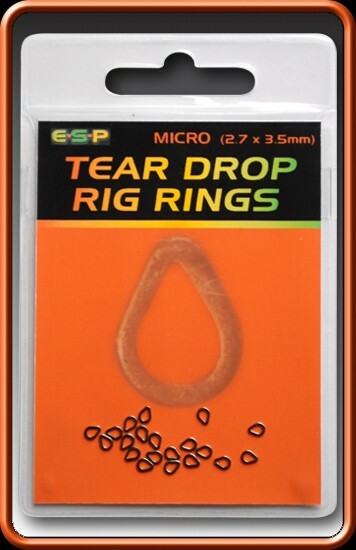 ESP Tear Drop Rig Rings -Teardrop shaped rig rings that complement the ESP Shank Stops perfectly. Hair or bait floss knots locate securely in the apex of the ring, leaving the wider more rounded end of the ring free to run smoothly on the hook shank or d-rig loop. -Perfect for Blow-Back rigs, Chod rigs, and Multi rigs, where the hook bait is attached to a ring.